It was quite the day full of surprises for Jamie + Aric! Starting with the bride’s parents surprising her with a pair of earrings that she thought were unavailable and ending with the groom, mother of the bride and bridesmaids serenading the bride at the reception! Shout out to Jan for planning and coordinating another wonderful wedding! Be sure to scroll through all 60+ wedding pictures on this blog post! If you haven’t already seen them be sure to check out their West Loop + Zoolights Engagement Photos! Photographer’s Favs: Up first…a few of the best photos from the day! This one is taken in front of the Wrigley Building on Chicago’s Magnificent Mile! The Chicago Intercontinental Magnificent Mile has some amazing interior decor work. 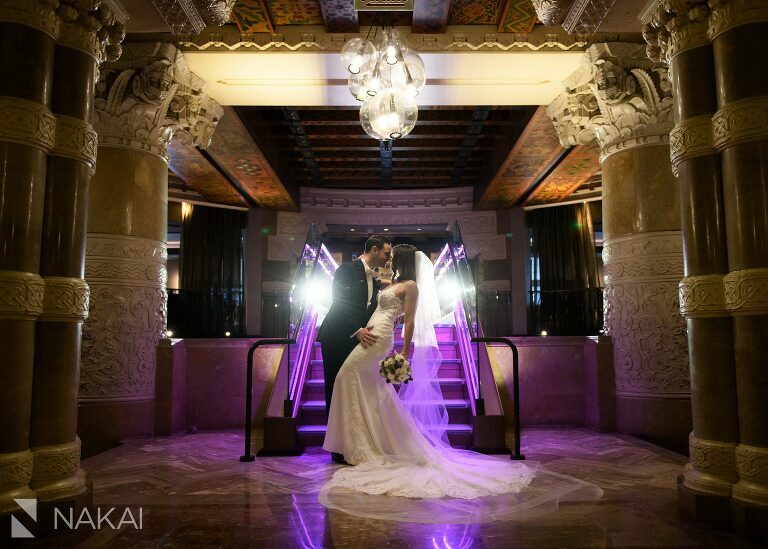 As a photographer, I love the classic architecture and the modern bride together with a little dip! In the event you don’t scroll through all the photos, be sure to see this picture of the Intercontinental Grand Ballroom with decor by HMR Designs! Jan from Parties, Events and More! always brings in the little details that make the day special! I LOVE all the expressions in this photo! 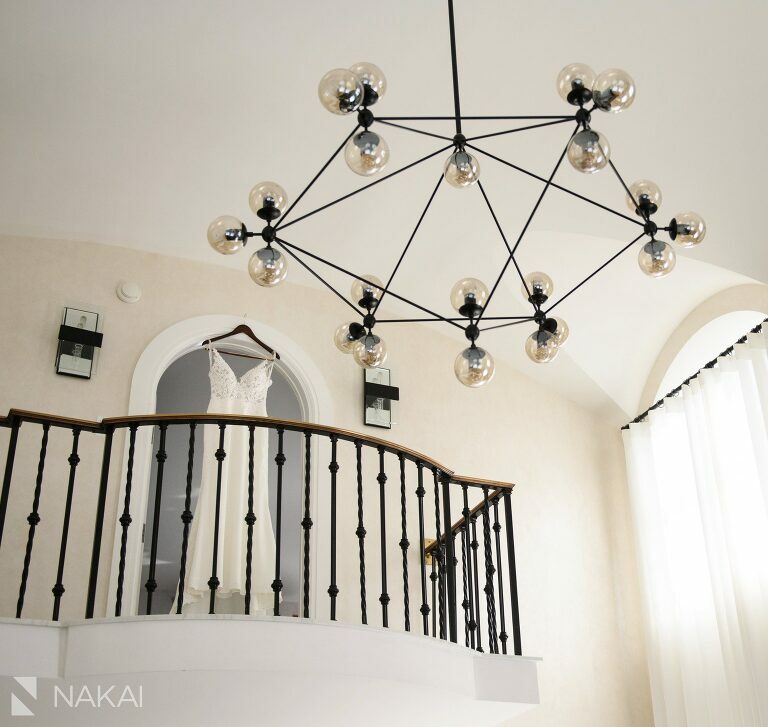 Photographer’s Tip: When you see stairs, go up and down to find the best and most creative angle! This almost feels like a fashion show runway shot! We took a walk down the Magnificent Mile for a few photos along the Chicago River! 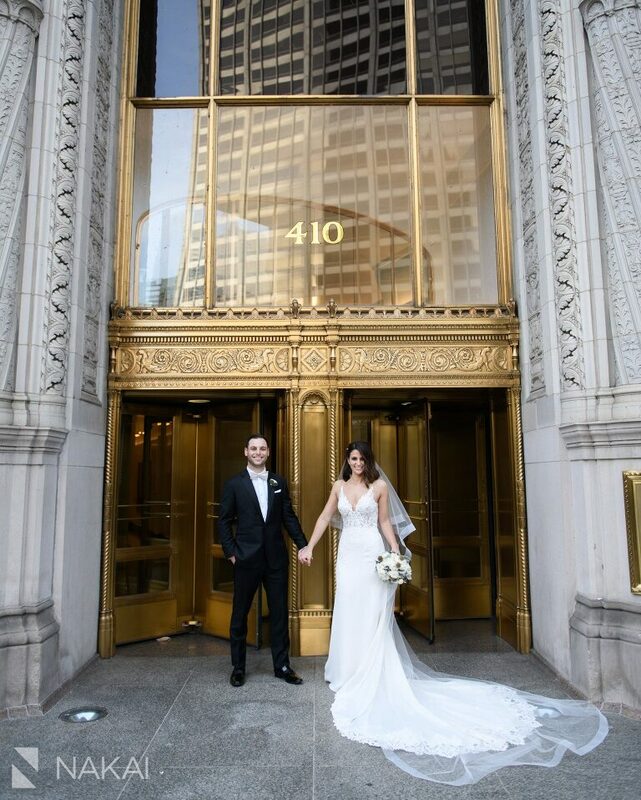 With such an epic wedding party, you need an epic background like the Wrigley Building! 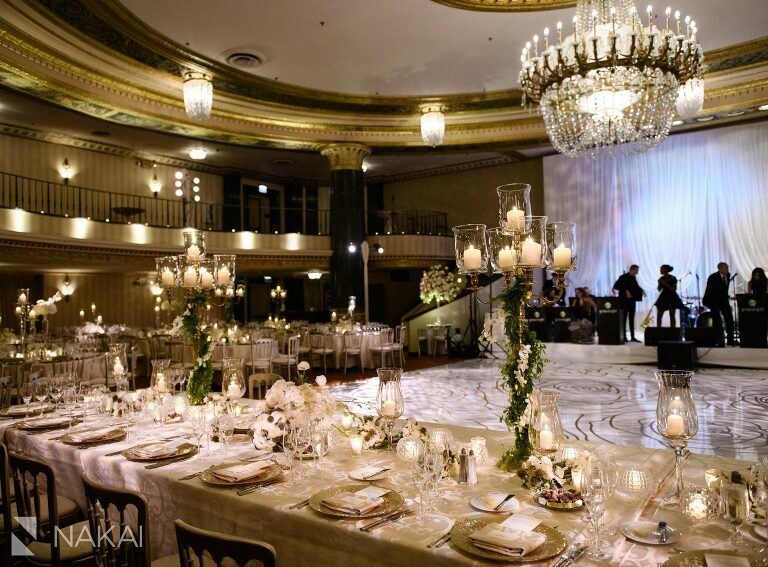 The Grand Ballroom at the Intercontinental Chicago is amazing! Her reaction to the surprise flash dance/song by her mom, groom + bridesmaids! Congrats again you two! What an unforgettable day full of surprises! Everything came together flawlessly and I can’t wait to share more photos with you all!